1) Using two lines LCD display and keyboard that can be operated lively. 2) Intergrated detection module with 4-20 mA /RS485 connector. 3) All imput and output cables are protected from over voltage and over current. 5) Automatically detected lively electrical disturbance and restained it. 7) Nonconnected with the medium so it can work longer. 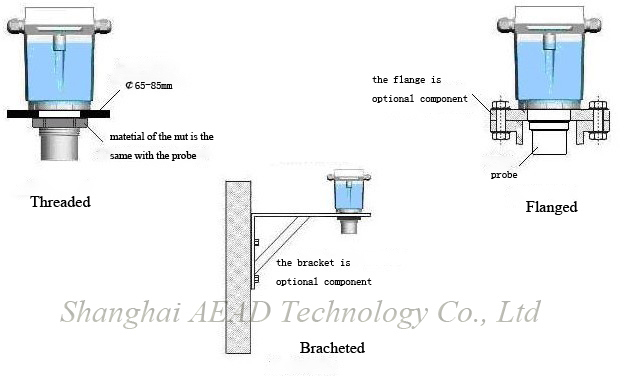 1) The distance between the probe and the lowest level should be shorter than the measuring range of the choosed level meter. 1) Continuous and nonconnected lequid, pasty and small particulate matter. 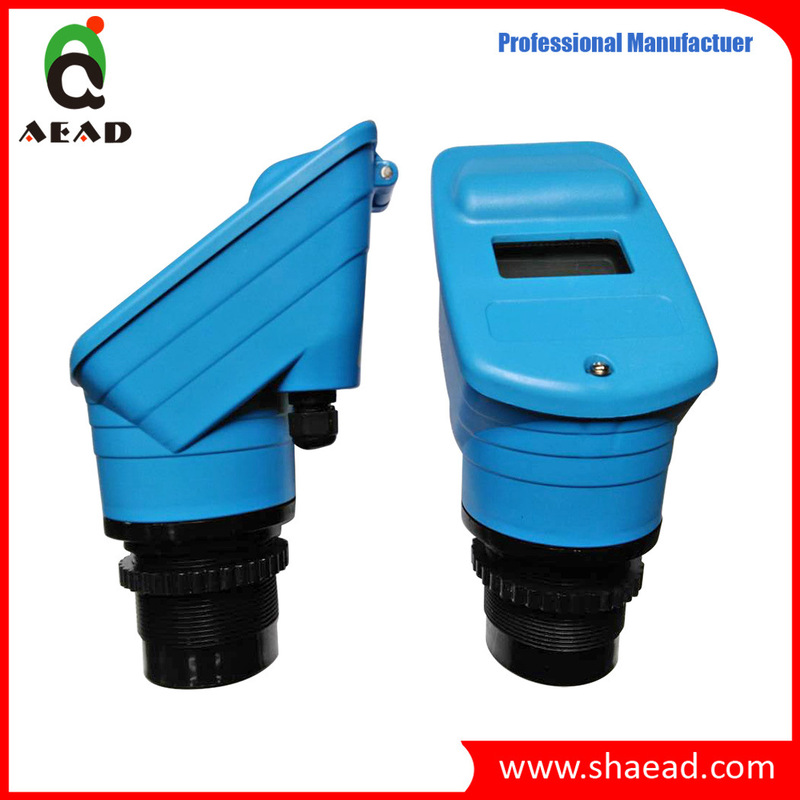 If you are interested in our ultrasonic water level transmitter, please call our office at +86-(0)21-5869 6328. Alternatively, you can send us anÂ emailÂ or use the contact form which can be found on theÂ contact pageÂ of our website.